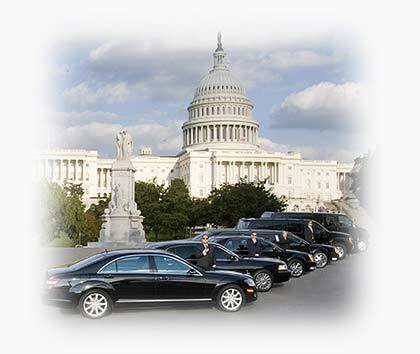 Capital Limousine Service, Offering limo services to corporations, Government, Hotels , embassies VIPs nationwide. Capital Limousine Service is the world leader in luxury carriage service and services. We earn this honor every day by the meticulous care and attention our clients and charges receive day in and day out, year in and year out. We are firm believers in the adage, “You don’t get a second chance at a first impression”. Let us impress you with our service, our commitment to excellence, our beautiful line of luxury vehicles, and our “can do” attitude. Heads of State, Government and Entertainment VIPs, Corporations, Embassies, Security Companies, as well as thousands of others have made Capital Limousine Service the “go to” luxury transportation leader nationwide and worldwide over and over for two decades. The chauffeurs at Capital Limousine Service are licensed and insured, and average ten years in the luxury transportation business. They are and have been cleared to enter any government facility including the White House and Capitol Hill. They are trained in etiquette, geographical knowledge of the areas assigned, and carry with them a pride and duty in a job well done. Most of the drivers are multi-lingual, and are well aware and well versed in the customs and practices of those clients they are assigned. Their proficiency is world renowned.